It's just a two minute walk from the west exit of Shin-Toyota Station on the Aichi Loop Line and a five minute walk from Toyotashi Station on the Meitetsu Railroad. A business centre equipped with shared facilities and the latest in infrastructure and amenities. Business hotels, different restaurants and shopping opportunities are also features in this area. Just a short walk from Nagoya station, this serviced office centre provides a range of business services, and enjoys good connectivity to local airports, major ports and various large-scale manufacturers. This business centre is conveniently located in the heart of the business district of Nagoya and serves as the economic hub of central Japan, home to eight major ports and manufacturers such as Mitsubishi and Toyota. Excellent public links with direct access to Nagoya station through a large underground shopping area and nearby to hotels, department stores and restaurants. The Central Japan International Airport Centair is one hour away. Situated within one of three skyscrapers completed in 2016 in a prime location this co-working space shares a building with a number of well-known Japanese corporations as well as a shopping complex on the buildings lower floors. The centre is in Meieki , Nagoya. There’s just a ten-minute walk to Nagoya’s main train station and there is a bus stop outside the business centre. The centre is in a very convenient location. 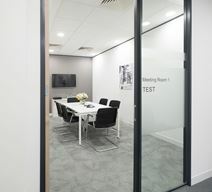 An office space that offers a number of office solutions for your business, this centre offers co-working, private office and virtual office solutions on flexible and affordable terms. Support your business with the infrastructure this centre offers, and on-site staff that are on hand to assist with administrative and reception support. Office space prices ranging from ¥26000 - ¥110000 per month. 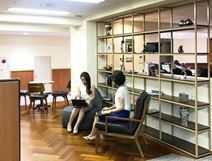 Suitable for all types of businesses these serviced offices provide simple and efficient office space that are located near the intersection of Sakura-dori and Fushimi-dori, a three-minute walk from the Marunouchi station. This open office space is located just a two-minute walk from Marunouchi station in Nagoya’s prominent business area. The are is particularly popular due to its close proximity to government agencies. Located in the Meieki area of Nagoya in an area surrounding Nagoya Station, this open office space is ideal for a range of serviced office space. The area is well known for it"s auto industry tenants such as Toyota while there is good access to other major cities such as Osaka and Tokyo. This landmark building was closed for renovations in 2013 but has now been reopened and provides serviced office space on the 25th floor and can be found in front of the station for convenience. State-of-the-art facilities throughout. Just a three-minute walk from JR Station this business centre is located in Meieki, Nakamura-ku, an area that has become popular for business since it has undergone redevelopment and will continue its rise in popularity with the upcoming linear shinakansen service in 2027. Located near the intersection known as Nichigin-mae and only minutes from Marunouchi and Fushimi stations this business centre has a range of different size fully furnished executive suites available, fully customisable for all of your business requirements. A five-minute walk from Sakae station and a three-minute walk from Yabacho station this flexible workspace is ideally located in the business district of Sakae and surrounded by a number of major businesses from sectors that include finance, advertising, broadcasting and the media. Office accommodation conveniently located in Sakae, Nagoya. The famous bookstore, Maruzen, the Tokyu Hotel, the Nagoya International Hotel and the new Chubu International Airport are all situated close by. Fully furnished modern offices in this stunning contemporary tower located in the central business district of Meieki. A host of services and facilities are provided such as state of the art Internet and network access, professional reception services, and spacious meeting and conferences rooms. Nagoya Station is situated just in front and linked to the Shinkansen Station and JR/subway lines with easy access to Central Japan International Airport. A modern, stylish office space. Here, you will find a mixture of private offices and shared work spaces. The many windows offer plenty of light to the centre, and great views over the park opposite. Breakout areas feature comfy seating. 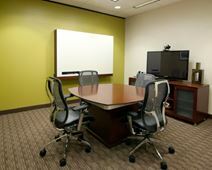 Meetings rooms are supplied with whiteboards. Situated three minutes' walk from Kariya Station, which serves the JR Tokaido Main Line and Meitetsu Mikawa Line, the centre is easily accessible by public transport. Close-by, there are many restaurants, shops, and hotels. Three minutes' walk from the space you will find a shopping mall. There are also a number of parks where you can spend your lunch break. The City Art Museum is five minutes' walk away.